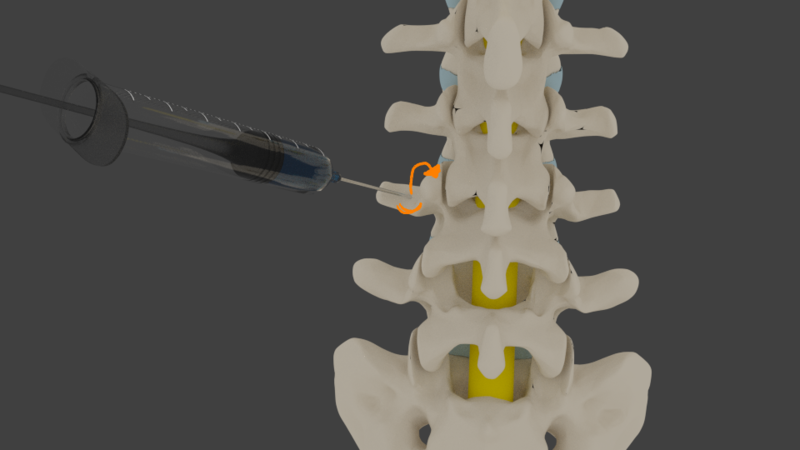 The medial branch block is the name given to a procedure whereby a Seattle pain management doctor injects an anesthetic directly into the area around the facet joints in order to relieve the pain signals of the medial branches. The medial branch block is performed as a diagnostic test to find out where the cause of the problem lies. 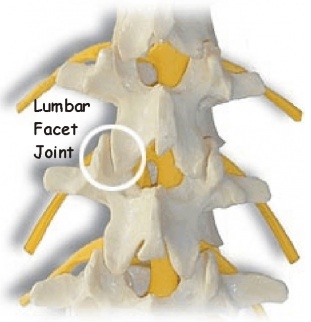 If pain relief is immediate, the patient’s pain is being caused by this specific facet joint. It is also performed as a therapeutic test as it may provide months of pain relief. What are the major indicators for having Medial Branch Blocks? The medial branches supply sensation to the facet joints of the neck and back. These branches are only sensory and not motor. So injecting numbing medicine and steroid will not cause any problems with movement. Those patients who have pain due to arthritis of the facet joints often do very well with these injections. What does a Medial Branch Block entail? A medial branch block will usually be performed as an outpatient procedure and rarely takes longer than about 20 minutes to complete. Most Seattle pain management doctors will use image guidance for the procedure. Once the area around the facet joint is reached, dye is injected to ensure accuracy. At that point, numbing medicine +/- steroid is placed for the block. How do Medial Branch Blocks help the doctor provide treatment? As mentioned previously, what’s interesting about the medial branch block is the way in which it serves as something of a test and a treatment option at the same time. It’s a way of allowing the pain doctor in Seattle to determine where the problem lies and thus proceed accordingly – if pain is reduced, it’s made clear from where it originates. What’s more, studies have shown the medial branch block in and of itself provides 3 months of pain relief on average. When the pain relief wears off, a patient may either have the procedure repeated, or move on to a radiofrequency ablation. What are the risks of having Medial Branch Blocks? The only real risk associated with medial branch block is that it may not work – all patients respond differently to the treatment. There are also very slight risks of having an allergic reaction to the injection or infection. The needle is not placed into the spinal canal, so having any sort of neurologic injury would be rare. What are the benefits of having Medial Branch Blocks? 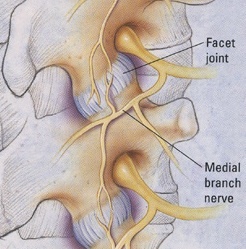 Most medial branch blocks are successful in providing pain relief of anything from 50% to 80%. Repeat procedures are typically just as successful. It’s usually a very satisfying procedure. Over 90% of patients are able to avoid the need for surgery for neck and back arthritis with medial branch blocks. Seattle Pain Relief offers medial branch blocks with a Board Certified pain management physician.